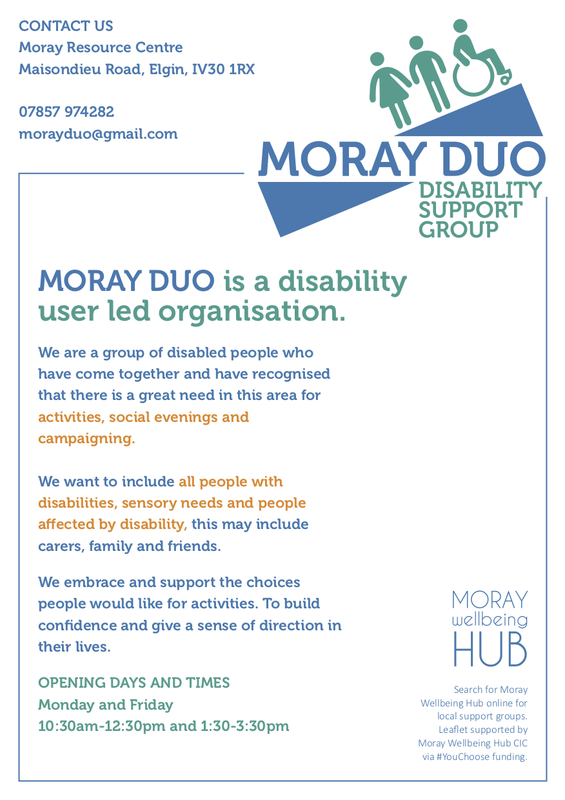 MORAY DUO is a disability user led organisation. We are a group of disabled people who have come together and have recognised that there is a great need in this area for activities, social evenings and campaigning. We want to include all people with disabilities, sensory needs and people affected by disability, this may include carers, family and friends. We embrace and support the choices people would like for activities. To build confidence and give a sense of direction in their lives.